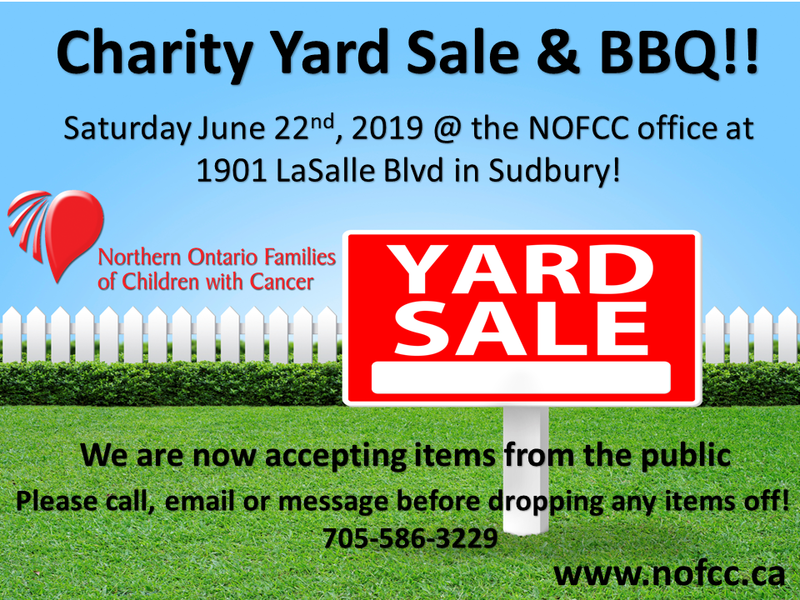 On Saturday, June 22nd, 2019 NOFCC will host it’s annual Yard Sale and Fundraiser BBQ at our office at 1901 Lasalle Blvd in Sudbury from 8am-4pm. We will accept gently used items from the public starting April 15th at our office. Please call, email or message us before making any drop offs!